Client was established in 2000 and has grown into one of Europe’s leading authorized retailers of branded golf equipment. 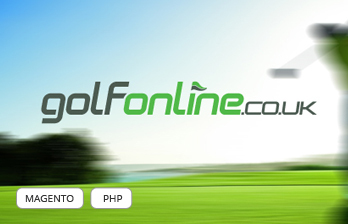 With a range of over 10,000 items from Golf Clubs and Golf Clothing to Golf Shoes, Golf Bags and Golf Accessories. They have 30,000 square foot warehouse sits right behind their flagship retail store, Golf In Store- fitted with the state of the art Custom Fitting Suite and putting green. 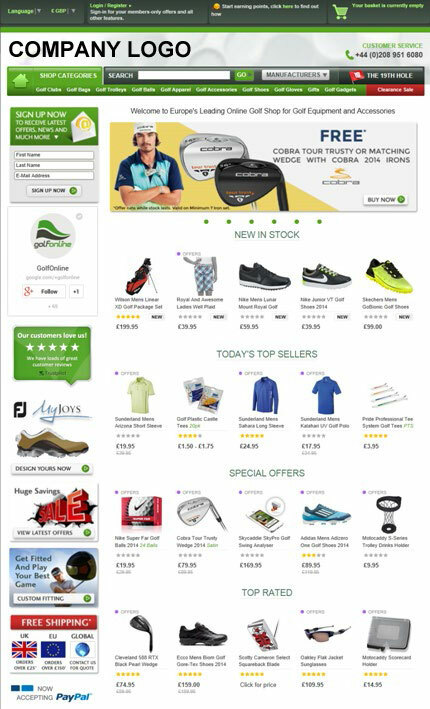 Client wanted to develop robust and user friendly online store for selling golf related products and accessories. The store would be selling all golf related items such as clothes, equipments, accessories and various products to their buyers at flexible price range along with different best deals. Client wanted SEO friendly eCommerce website for easy selling. They wanted to improve perfor mance of their website and better security. Client’s requirement was to convert the existing PHP based site to ASP.NET with ecommerce functionality for better security and performance. Client wanted to develop multi lingual and multi currency website to reach to global customers. Silver Touch has provided solution to the client based on ASP.NET Framework 4.0. We proposed SEO and User Friendly website with better performance features. 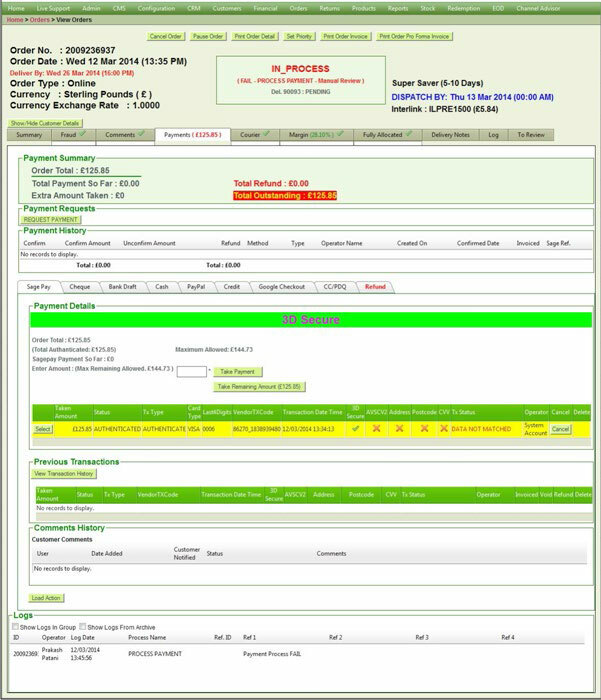 We have proposed all processes and transactions related to payment, courier service and manual shipping at the end of day, so site administrator can view and manage all transactions together. We have used SSRS reports for brief information. We have proposed Sage Pay and PayPal for online payment. We have used Metapack (3rd party tool) for shipment. Propose to implement I18N standard methodology for multi lingual website. The backend portal has been developed to manage golf products, order processing & dispatching, payment & shipment services, financial management and customer management. There is channel advisor module to import and export products with eBay and Amazon. Website is developed in such a way to make it more robust, hassle free for operators and easy to manage order processing and deliverables. Stock Module allows the site administratorto managestock. 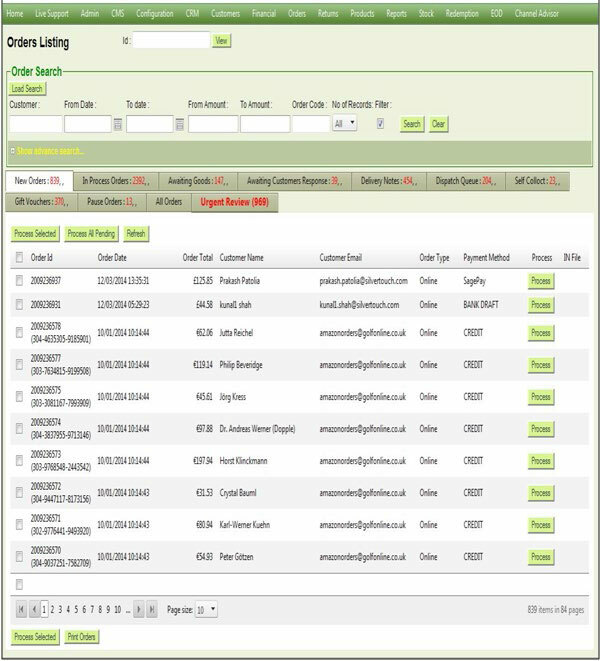 Purchase order module allows the site administrator to create and send the Purchase Orders to the suppliers based on the customer ’s demand. 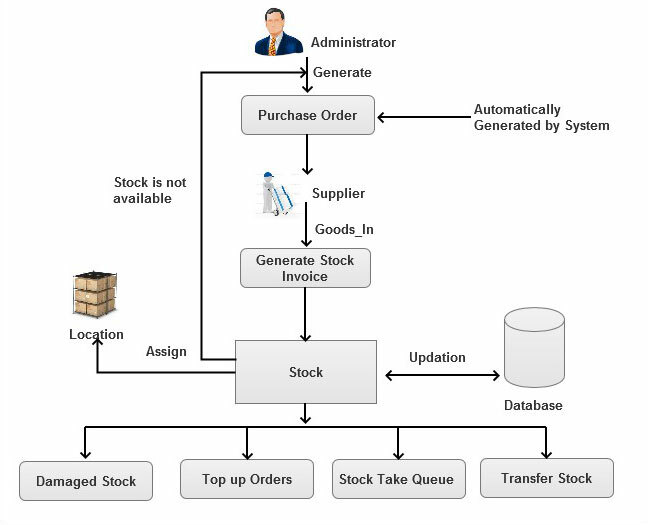 When customer purchases any product which is not in stock then the application automatically generates Purchase Order for the same. 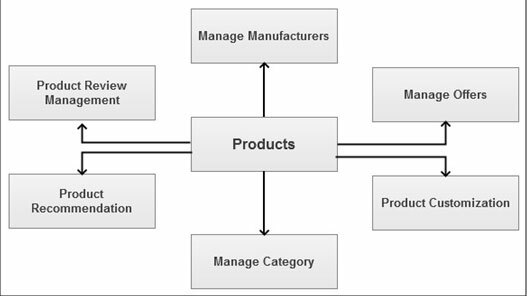 Goods-In module will manage goods arrived from the supplier and update the stock of respective product accordingly. With the help of this module, client is able to transfer stock from one warehouse to another as and when required to maintain system stock and physical stock. This module allows the site administrator to manage warehouse and create different location where goods can be stored and retrieved easily. Top up Orders module generates list of fast moving products along with its order quantity (calculated from the algorithm taking average purchase of last pre-defined number of order for same product) and website administrator can generate Purchase Order for the same. Site administrator has to fill up all details of product then only product can be sold online. Product’s status must be active to sell that product. Different offers are available for customers which are managed by the Site administrator from backend. Customers can purchase product by calling specified number. Client can also ask their query related to the products, shipment and payment. On behalf of the customer authorized user can place order into the application. Such orders will be available into client’s order history (User Profile) so they can also see the same by login into the website. Customers can also discuss about expected delivery date of product. They can also discuss about early delivery of the products. Customer can purchase products in retail directly from the warehouse. In this case all processes of the order will be cleared automatically by the system. All order goes through various stages and checks before it is finally dispatched. The checks from which each order needs to pass are fraud check, margin check, courier check, stock allocation check and payment check. If order passes through all these checks then only final order can be placed. 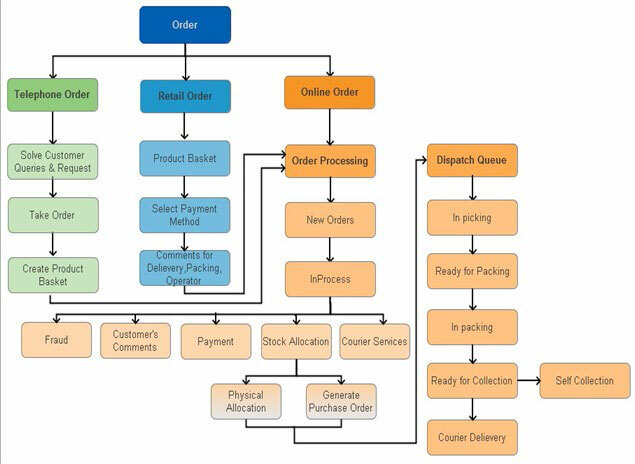 Once the order passes through all processes/stages, it is moved to the dispatch queue where the items are picked from various warehouse locations, packed, consignment created and dispatched. The consignment creation is automated using Metapack services. There is also a facility for adding the consignment and printing labels. This module includes multi currency functionality. Site administrator can manage pricelist according to the customer and customer groups. Tax Classes functionality enables to manage tax value according to country and convenient of users. Tax will be automatically calculated when product is added to basket considering the client and his country. The products received can be returned by the customer by entering an online returns form and then sending the goods back physically. The customer has options to receive same product, another product (with difference adjustment), gift voucher for same amount or refund money. There are various modes of redemption such as points, gift vouchers etc. The customer is awarded loyalty points for being a loyal customer based on the orders and referrals. Loyalty Points are also awarded for providing useful reviews for the products on the site. These points can be redeemed to purchase products. Site Administrator can create multiple templates for different activities. Site Administrator can then send bulk or individual emails to their clients at various stages i.e. Order Booking, Return, Discount Coupon and Order Dispatch etc. Site Administrator can manage all CMS pages such as news, media, banner and about us. Site Administrator can add or remove pages from back end as and when required. The inventory management is extensively built using the best practices for maintaining the RoI (Return on Investment), ordering goods, receiving the goods and various reports. There are systematic processes and workflows in place for transferring the goods from one location to another and adjusting the goods quantity due to damage or goods being lost. 1. Project Development Life Cycle: On Going Project, started on Januar y 2010. 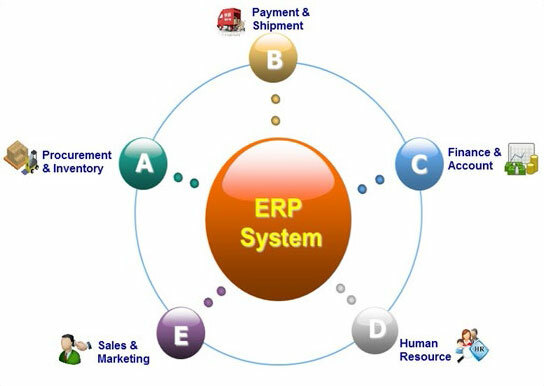 We have developed comprehensive web application (ERP System) that includes Inventory Management, Shipping, Payment, Customer Management, Product Planning and Cost Management. Client is now able to manage Inventory, Shipping, Payment, Product Planning and Financial activities under a single application. 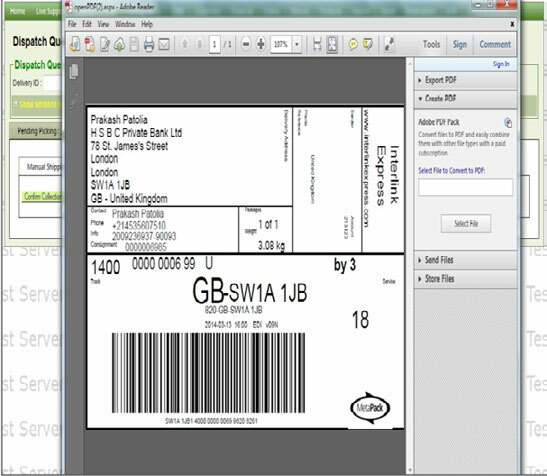 Order Processing and Order Dispatching process has become simple and fast with the help of this application. Bringing more customers by SEO friendly website. Website is now serving more and more clients by multi-lingual and multi-currency facility. 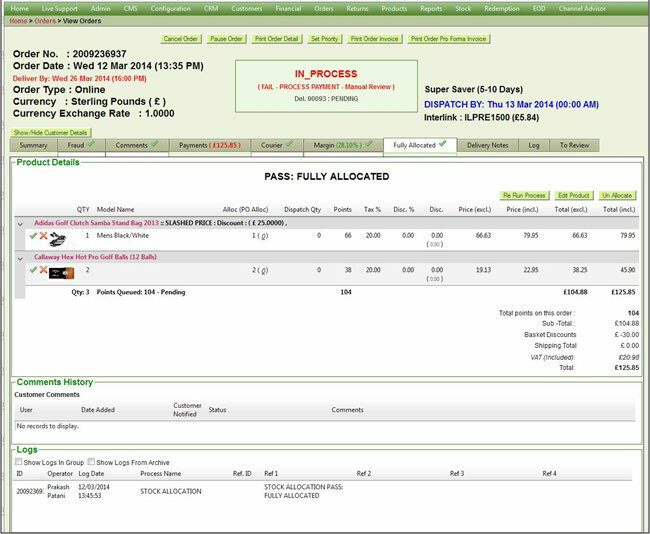 Client is now able to take fast decisions with the help of Qui ck and Easy Report generation.